Decent food at a great price! This week I visited this new restaurant at strijp s Eindhoven and I was surprised by the relaxed atmosphere and the decent food at a great price. It opened in January 2015. This restaurant is based on a concept helping young adults to become independent and to teach them working skills. The young adults are trained and guided by experienced and professional teachers. The staff is very friendly and observant and the atmosphere relaxed. The interior of the restaurant is very cool. 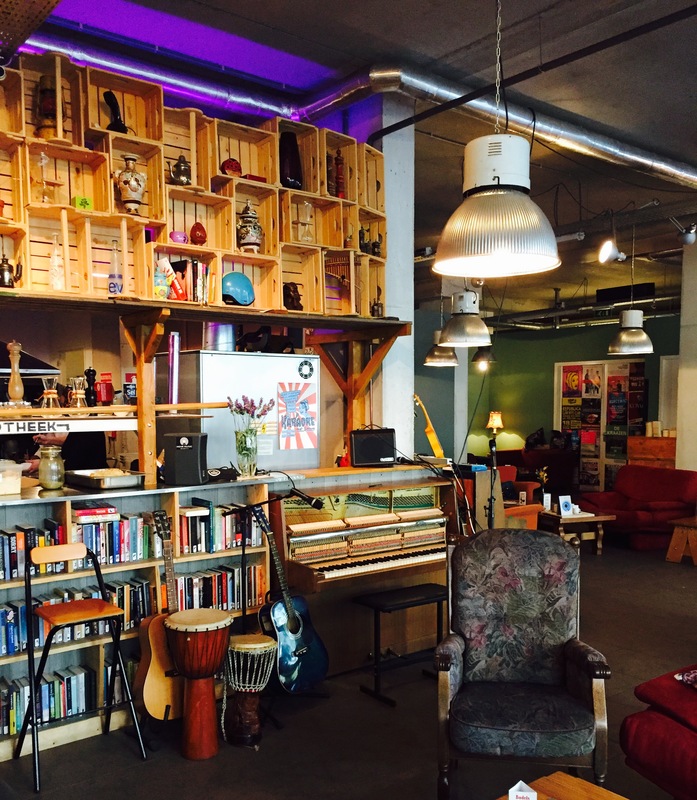 It’s a mixture of industrial lamps, wooden elements, nice furniture (like medicin cabinets) and colourful couches and pillows. There’s a bar, a dinner area, but also a nice big couch to sit and play a game of chess or read a book from the personal library. There are two pianos and I heard they have live music from time to time (not at a regular schedule), so you might be surprised by a gig from some young musicians. The menu is very simple. It’s either a dish with meat, fish or vegetarian food. The menu varies daily because ingredients are bought daily, so that means that they’re fresh. We chose the meat-menu and got a lovely traditional macaroni with cheese and minced meat that tasted like home. They don’t serve desserts, but that was quickly solved by ordering delicious chocolates and we especially got a mint-tea with mint extract from the kitchen. Their menu is published daily on their facebook. Alltogether it was a nice experience for a decent low-key dinner (maybe a first date), or dinner with friends at a fair price. You can visit Soul Kitchen from thursday till Sunday from 17.00 to midnight. You don’t need a reservation. Just show up. Soul Kitchen recently added space to the restaurant making it more spacious. Go and visit this great new food hotspot! For other good dinner hotspots visit my page dinner hotspots or visit the Strijp S hotspots page. 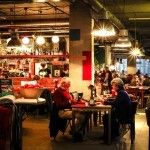 Some examples of other dinner hotspots at Strijp S are radio royaal, Onder de Leidingstraat and het Ketelhuis. A nice and chill place to hang out. 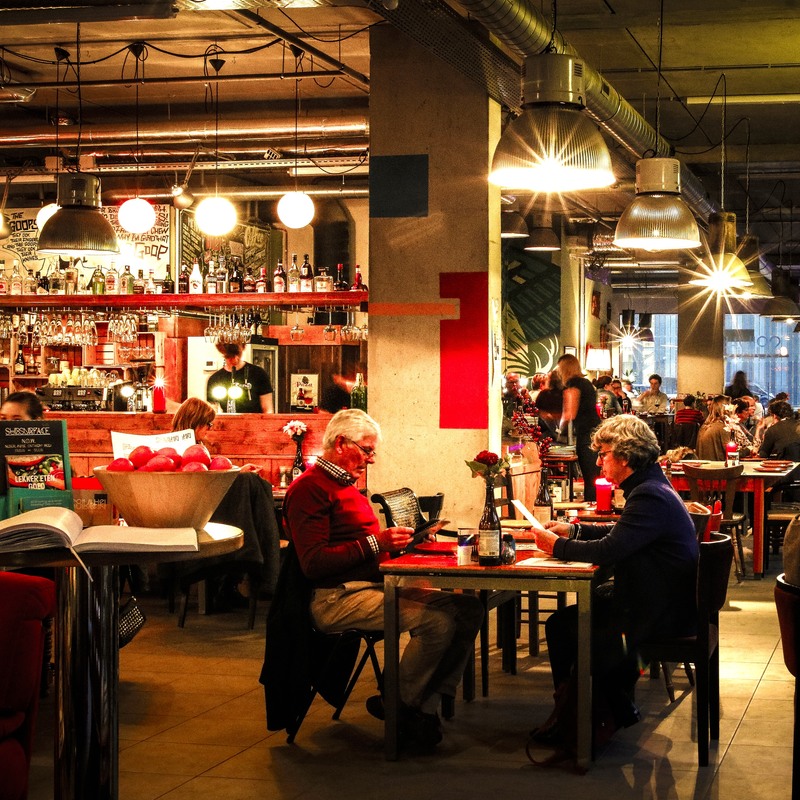 15 januari 2015 | Filed under Chill Spots, Coffee spots, Dinner spots.